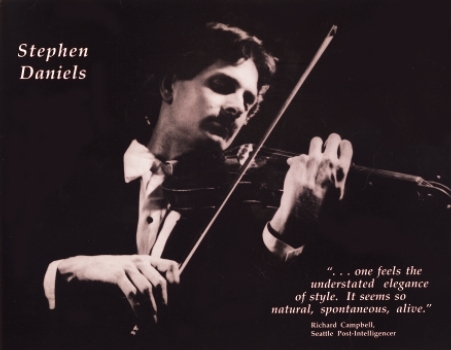 A distinguished concert artist, Stephen Daniels' vast repertoire ranges from solo Bach sonatas to the light salon pieces of Fritz Kreisler. During his seven years in Vienna, where he held a post with the Tonkunstler Orchestra, he premiered works by noted contemporary Austrian composers for Austrian radio. A consensus of his many European and American concerts was written by critic Ann Trout Blinks: "It was amazing that one person and one instrument could produce such a wide range of sounds at one time...to create an uncanny orchestral effect that held the audience spellbound." 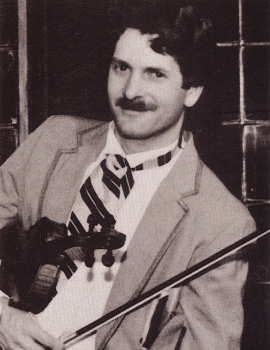 Mr. Daniels holds his Bachelor's and Master's degrees from the University of Washington School of Music where he studied with Emmanuel Zetlin and Denes Zsigmondy. His other teachers have included Helen Pagels, Eduard Melkus and Wolfgang Schneiderhahn at the Academy of Music in Vienna, and Camilla Wicks. He also studied with Ruggiero Ricci in Italy. A winner of numerous awards, including the Battelle Competition, the Thalia Competition, and the Marylhurst Concerto Competition, Stephen Daniels has many solo orchestral appearances to his credit. Recent performances, for which he received critical acclaim, were the Sibelius, Mendelssohn, Dvorak, and Beethoven violin concerti. 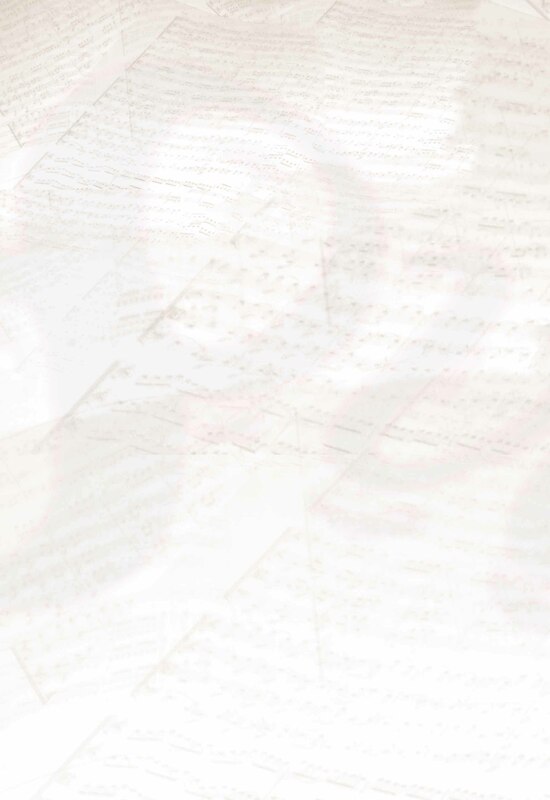 Special interest in Chamber Music has led Mr. Daniels to become leader of the highly acclaimed Johan Strauss Trio, which specializes in light Viennese repertoire. Season after season, the trio has drawn ovations from both critics and audiences. Stephen Daniels will be performing the Mozart Sinfonia Concertante with the Octava Chamber Orchestra on Sunday Jan 13th 2008 along with principal violist Thane Lewis.